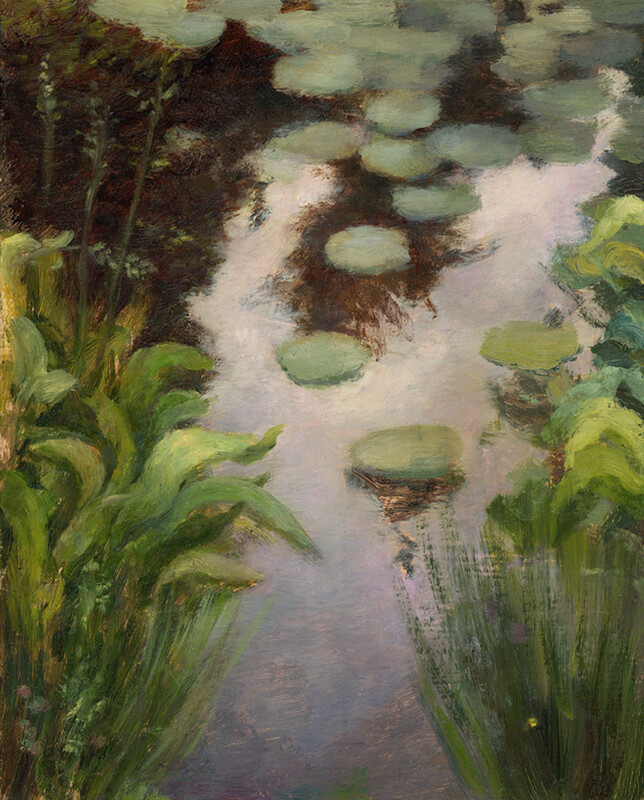 This is an open edition print of the original oil painting "Lilypond" by Jason Rafferty. "I found this pond with water lillies in a local park not far from my home in Asheville, NC. I was captivated by the pond's white - purple reflection of the sky at dusk, and how the colors set off the muted greens of the lillies. It was a pleasure painting this piece in the early summer evenings. This piece is a nod and a tribute to Claude Monet's fantastic "Waterlillies" series of paintings. I had seen a few of those huge paintings in Paris at the Orangerie shortly before I came back to Asheville and painted this."